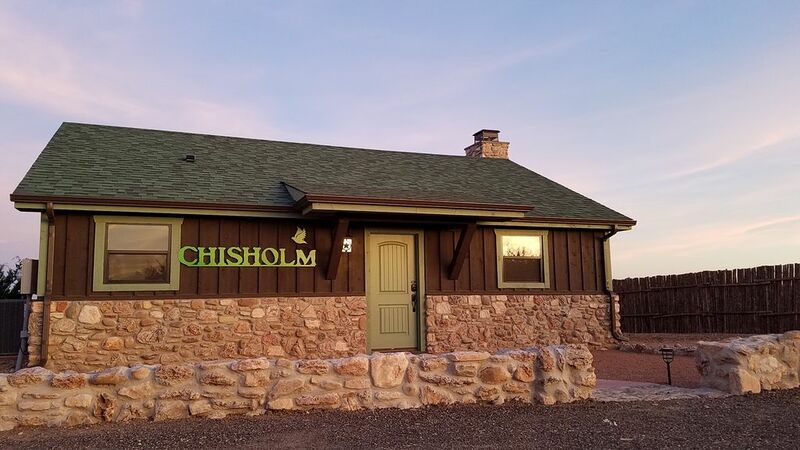 Situated on the working Palo Duro Longhorn Cattle Ranch and just moments from the entrance to America’s most beloved State Park - Palo Duro Canyon. Chisholm Cabin is a destination on most traveler’s bucket list. These Doves Rest 1-Bedroom Cabins embodies Palo Duro’s character, blending the West Texas legendary ranching past with the relevance of Americas second largest canyon. Our North Rim Cabins are sure to engage the senses and captivate the imagination of our global guest clientele. The pictures don’t do this place justice. It’s even more amazing than you would think. Thanks for a wonderful stay, and thanks for allowing our furry ones as well. Well appointed, clean, comfortable, fantastic views. We could not have asked for better accommodations and Jeff was extremely responsive to questions. We saw Longhorns, deer, rabbits, a large heard of Aoudad Sheeep up close to the cabin, coyotes, beautiful night skies and stunning sunrises. Highly recommend! The cabin was so nice and with the large windows facing the back of the property, the views were amazing! Thank you, Jeff Means, for being so attentive! Enjoyed our time at Dove’ Rest. Cabin is well appointed and convenient to Palo Duro Canyon. We relaxed on the shady patio in the daytime and enjoyed the cool breezes of the evening. Skywatching was a delight, one night a star show and the next a lightening fest. Loved this prairie getaway. We thoroughly enjoyed our weekend at the Doves Rest Cabins. Very clean and comfortable with many luxuries of home ~ would stay here again and recommend to friends. Close to State Park entrance for hiking, etc. Sat on back porch, grilled and enjoyed the views ~~ canyon, wildlife, spectacular sunrises with a constant May breeze. Our stay at Doves Rest cabin was perfect! It was so clean! We have rented so many VRBO’s as well as traveled all over the world and cleanliness is the most important thing to us. We were so pleased! Also the kitchen was well equipped. They thought of everything. Thank you so much for a wonderful stay. We will definetly pass this on to our friends. We have multiple cabins at Doves Rest so please contact us for your group needs. Concierge Service – Don’t have time to shop? Let us take care of your grocery list for you. We’ll buy and deliver your groceries upon your arrival including liquor, beer, wine and beverages. We know the premiere butcher shops for the finest cuts of Texas Panhandle beef, locally made sausages, chicken and fresh fish. Fee starting at $40.00, plus cost of groceries. 48 hour advance notice requested.